Builder Funnel Radio recently featured Denim Marketing’s President Carol Morgan. Tune in to Episode 18, “An Expert Guide to Public Relations,” to hear her interview and get a primer on how to grow your business with public relations. 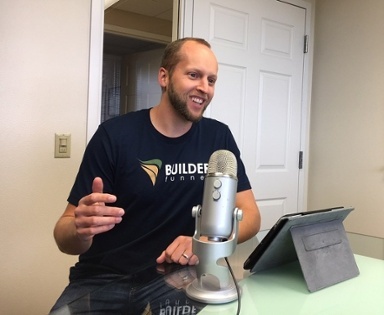 The podcast interview is hosted by Spencer Powell, President of Builder Funnel. During the chat about PR with Spencer, Carol shares marketing strategy and how to integrate content into that strategy. She talks about using public relations, social media, content and creative to tell engaging stories for clients that garner measurable traffic and show ROI. And, she gives relevant public relations tips that can increase traffic online and onsite. How to find the story – discover what makes good content for a press release versus social media, blogs, etc. You may be overlooking your best stories! How to make media connections – media connections don’t happen by just emailing your news release to a reporter. Surprise! Or not. . . You might need to actually form a relationship with them to be successful. Be consistent and be persistent – don’t be a huge pest, but don’t give up either. Sometimes you email what feels like a proverbial black hole for a year (or two) before you get a response or score that story. 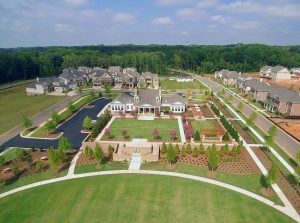 Know your market – media relations, much like real estate, is local. Know what day deadline day is, and what the best day is to call or email reporters at local news outlets. Builder Funnel is an award-winning inbound marketing agency and HubSpot Gold Partner, dedicated to helping home builders and design-build remodelers tackle their biggest marketing challenges. They are based in Colorado Springs, CO. Their fearless leader, Spencer is the Inbound Marketing Director at Builder Funnel. Since 2010, he’s been building a proven model and system that has helped generate thousands of leads for his clients. He specializes in helping home builders and remodelers bring their websites up to speed – not only building traffic, but focusing on lead conversion and ROI. And, best of all, he likes to eat! According to his website, you can find him at a nearby Chipotle about three times a week (hopefully he owns stock!). 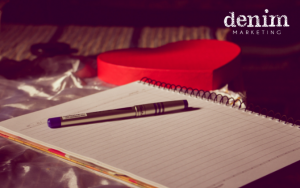 For more information on how Denim Marketing can partner with your company on strategic marketing, public relations, blogging, social media, email marketing or reputation management, contact us or call 770-383-3360.